You may be experiencing a period of accelerated soul growth, your inner world is changing rapidly, and your life may reflect this with unexpected events or people who suddenly appear in your life at just the right time. These people are usually Soulmates but may indiciate an ongoing or imminent Twinflame connection. You are on the right path and there is nothing to fear, but much to be cleared energetically. You are becoming more aware of more subtle energies and the invisible thread that connects us all. You may be more 'tuned in' at this time and it is advised to listen to that voice within and trust your intuition to guide you. There may even be non-physical guides actually assisting you at this time, even helping the twinflames 'wake up' and things are being aligned in preperation for your meeting. Pay attention to the signs and your dreams at this time. A SYNCHRONICITY is more than just a '"meaingful coincidence". It's very common for Synchronicities to start occurring more frequently during a twinflame or soulmate connection. 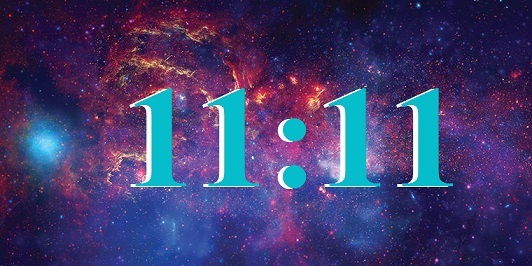 One may start to see the 11:11 synchronicity right around the time they meet their twinflame. The symbolic meaning of the 1111 and the Twinflame union. The meaning of eleven eleven and 11:11 experiences from around the world. Learn all about the meaning of numbers and get your personal numerology forecasts.